We recently spoke with Forbes about our mission to empower women through confidence-boosting clothes. Hear the story behind our startup and some of our strategies for building a versatile wardrobe of flattering pieces you'll love for years to come. My favorite dress is something I bought when I was 30 weeks pregnant. It’s neither a maternity dress or a mumu. In case you’re thinking I was one of those pregnant women who looked like a stick figure with a basketball attached, I wasn’t. I most definitely looked pregnant from the back and the side and there were not enough letters in the alphabet to quantify my breast size. Around the tail end of my pregnancy I set off on a nationwide book tour, looking and feeling like a circus tent. Since I worked from home for most of my pregnancy, I was living in my husband's sweaters and pajama bottoms. Neither of these things would be acceptable for a bookstore appearance or a segment on the Today Show. I’d been to maternity clothing stores before, and they made me feel as old as my grandma but also, inexplicably, pregnant. I also didn't want to buy a whole new wardrobe that I would only wear for a few months. It wasn't just wasteful, it was expensive. That was when I was introduced to TILDEN. The e-tailer's founding ethos is that you don’t have to be pregnant to walk into your closet and feel like nothing fits you. You just have to be a woman. That's why their goal is to only sell high-quality clothes that will allow you to fluctuate in size, whether that fluctuation comes from a pregnancy or a baby burrito. I began to think of them as curators of clothes with room to grow and shrink. Cofounder Laura Forman, a mom of two, says that TILDEN was inspired by the dramatic changes her body went through during her own pregnancies she spent on the trading floors of Wall Street, surrounded by men. Forman had an empathetic ear in Princeton classmate Ashley Howerton, who had spent her time since graduation with companies like GAP, ebay, and Rent the Runway. Having studied the challenges retailers face from the inside out, Howerton knew the fit issues Forman was experiencing were universal – whether you were pregnant or not. Laura Forman and Ashley Howerton met at Princeton and bonded over clothes that never fit. “No matter what size we are or what stage of life we’re in, everyone’s confidence takes a hit when our pants don’t button,” Howerton says. I could relate. I was pregnant. Nothing fit me. I called TILDEN. Their curation consists of high fashion brands I had worn and grown to love before I got pregnant like A.L.C., Vince, and Equipment. Howerton and Forman work closely with their design partners to ensure every piece they carry offers maximum versatility. That is, it will make you look good after Barry’s Bootcamp, but also after a late night binge eating at the office. You'll look pretty much the same after a juice cleanse or the second day of a bloated period. These are pieces you can wear when you're eight months pregnant and eight months postpartum. The company cofounders are constantly hunting for new fabrics that smooth curves, cuts that offer more flattering draping, and details that feel current but also as timeless as possible. They helped me find clothes for on-camera and for the formal events I had on tap, including my new favorite dress. Yes, it still fits and looks good ten months postpartum. 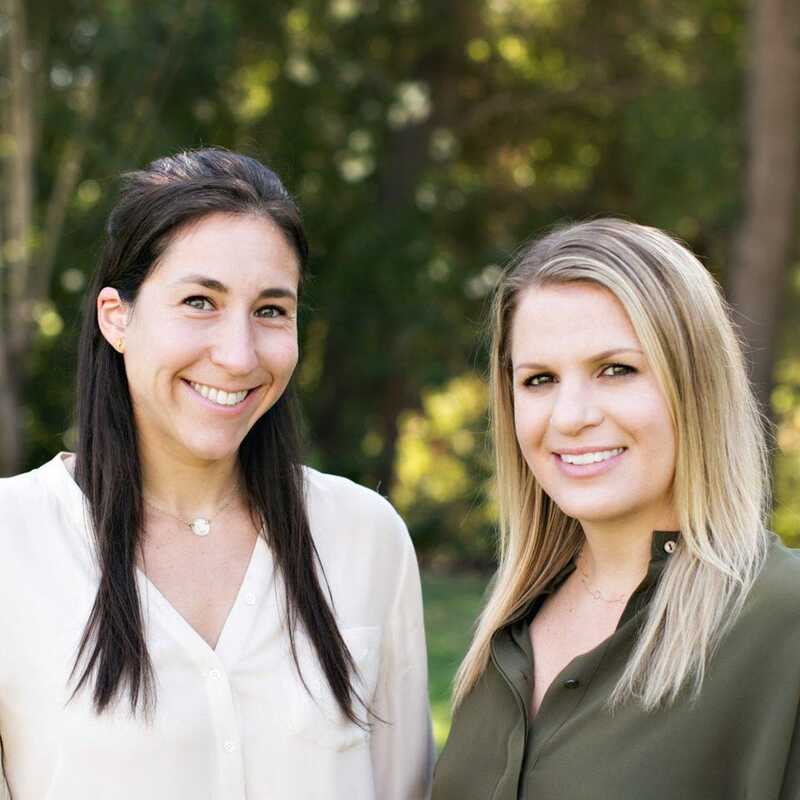 Last year TILDEN was a startup with a handful of customers serviced out of a tiny one bedroom apartment in the Presidio Heights neighborhood of San Francisco. Today, they've served women worldwide, including Silicon Valley’s elite and A-list celebrities like Jessica Alba and Julia Stiles. Howerton said she advises clients to keep closets lean, inspired by Marie Kondo’s The Life Changing Magic of Tidying Up. TILDEN's goal is to help you avoid classic buyer’s remorse in the first place by thinking about fit more strategically. Howerton blames women’s retail, not the woman. Another problem, she said, is a disconnect between the variety of sizes available at a store (0-30 at some chain retailers) and the limited body types of the models used to fit them. “The world has many body types, but a company is pressured to operate economically. Even amongst sizes, there are many permutations of shape.” In this case, she said, you might be numerically the same size as a fit model—say 8—but find a garment doesn’t fit you because you’ve got different proportions. Howerton said she looks for garment construction or fabric flexibility that she knows can eliminate these inconsistencies, and makes a point of avoiding others that she’s seen cause issues in fit sessions in the past. “We’re trying to make the buying process a little more seamless for our customers so if they see something they like on our model online, we’ve already ensured there’s a very high probability it will fit your body at home.” In the coming months, TILDEN will be unveiling their own line, offering the ultimate in flex fit. In many ways, TILDEN is attacking fit in the opposite way of many of their competitors, moving away from specificity in sizing toward a more flexible fit. While other companies are turning to half sizing, custom tailoring, and even 3-D printing, TILDEN is focused not just on what will sell today, but what will fit tomorrow. Jo Piazza is a bestselling author. Her new novel, Charlotte Walsh Likes to Win, a searing story of political ambition, marriage, class and sexual politics, comes out in July. Please note comments are subject to moderation. © 2019, Tilden Pacific, Inc. All rights reserved.